Maurizio Sarri says Eden Hazard is in the position to end the uncertainty over his Chelsea future at any moment by agreeing an offer to extend his contract. The Belgium playmaker’s current deal runs until June 2020 and the 27-year-old has admitted his quandary over whether to re-sign with the Blues or seek a “dream” move to Real Madrid. Sarri says Hazard is considering an offer from Chelsea, rumoured to be worth up to £350,000 per week. “The club is available to sign a new contract immediately, but it’s up to him if he wants to renew or not,” Sarri said. Hazard has spoken often of his future and has insisted he will not be leaving Chelsea, the club he joined in June 2012 for a £32million fee from Lille, in January. 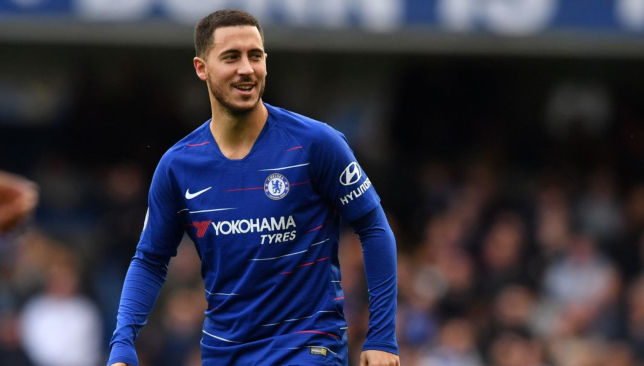 However, if no contract extension is agreed by next summer, Hazard may be sold or else Chelsea would risk losing him for nothing at the end of the 2019-20 season. It was almost inevitable talk would turn to Hazard after Cesar Azpilicueta agreed a new four-year deal. Azpilicueta is 29 and Chelsea’s usual policy is to offer players aged 30 and over only 12-month deals. Sarri on Tuesday called for the Blues to tie down David Luiz and Cesc Fabregas to new contracts in moves which could challenge the existing policy. Both Luiz and Fabregas are 32 in 2019, before the end of the season, and the length of any possible extension is a stumbling block, Sarri revealed. “David and Cesc are leaders. And so I think it’s very important for me, for the staff, also for their team-mates, if they stay with us,” said Sarri, who was speaking ahead of Wednesday’s Premier League trip to Wolves. “I spoke with the club about this one month ago. I know very well that it’s not easy, but I think that we can do a new deal for both. “The club want a short contract and the players want a long contract. And so it’s difficult for this reason. I think at the end we can find a solution. “They are very important players for us. It’s very difficult to find a centre-back for this level. Luiz is in his second spell at Chelsea, having had a two-year stint at Paris Saint-Germain. Sarri also dismissed the possibility of a January exit for England midfielder Ruben Loftus-Cheek, who has been linked with a host of clubs. Loftus-Cheek came off the substitutes’ bench to score Chelsea’s second in last Sunday’s 2-0 win over Fulham and could start in the Premier League for the first time this season on Wednesday’s trip to Wolves. Midfielder Mateo Kovacic (ankle) and left-back Marcos Alonso (back) are doubts for the trip to Molineux. 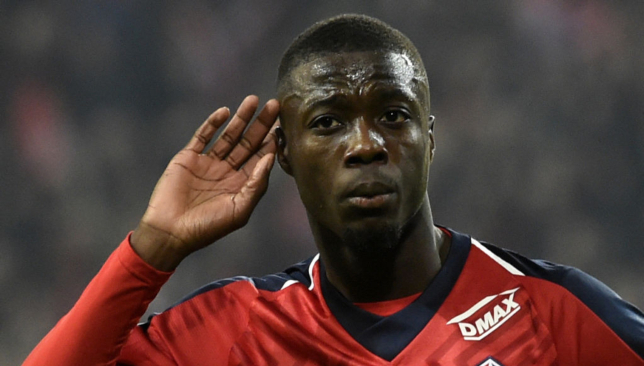 Arsenal have emerged as the favourites to sign exciting Lille winger Nicolas Pepe in January according to Mercato365. The Ivory Coast international’s start to the 2018/19 Ligue 1 season has forced some of the big European clubs to sit up and take notice. Pepe has scored nine goals and five assists in 15 matches so far in this campaign and his excellent output in front of goal has landed him on Arsenal’s shopping list as they aim to strengthen their attack during the winter transfer window. Chelsea are said to be leading the race for Borussia Dortmund sensation Christian Pulisic after being the first among the interested parties to launch an official bid. The Evening Standard claim the Blues have offered below Dortmund’s £70m asking price, beating both Manchester United and Liverpool to the punch. All three Premier League clubs have been monitoring the American’s progress. 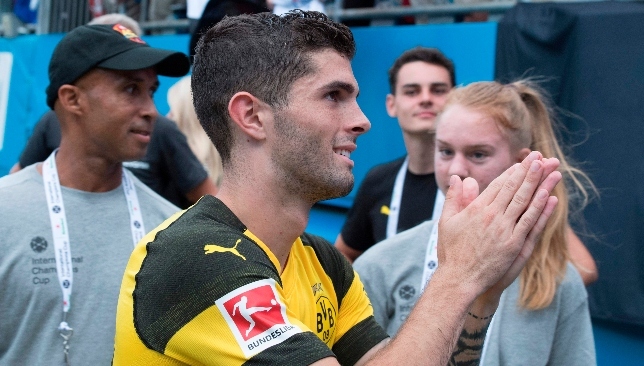 Negotiations over signing a new contract with Dortmund have stalled and Pulisic’s first choice remains a move to Liverpool where he would be reunited with former coach Jurgen Klopp.